The Canon/Nikon/Sony Camera System is the most complete Single Lens Reflex (SLR) camera system in the world. Whether you are a beginner or advanced professional looking for a digital camera, these DSLRs will take your photography to the next level. You may have got a digital compact camera or a DSLR camera, nowadays these cam devices are all have the abilities to record high-definition videos, so you can take excellent photos as well as vivid video images when you travel. After recording, you may want to edit the video footages in FCP X on Mac, but, some video codecs and formats are not well supported by Final Cut Pro X such as AVCHD MTS or MXF, etc. Fortunately, this article will share the way to transcode Canon/Nikon/Sony/Panasonic/Pentax/Olympus/Fujifilm recorded videos to Apple ProRes 422 for FCP X editing, the prores codec is best for FCP X editing, with this codec, you can edit video in FCP X smoothly without any problems. 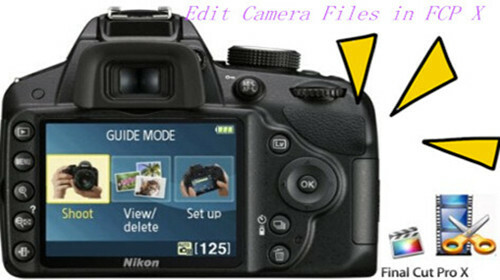 How to import Canon/Nikon/Sony/Panasonic/Pentax/Olympus/Fujifilm Recordings to FCP X ? Step 1. Download Pavtube HD Video Converter for Mac. This professional HD Video Converter can help you convert Canon/Nikon/Sony/Panasonic/Pentax/Olympus/Fujifilm video files to ProRes 422 MOV format for Final Cut Pro X, more output formats are also supported. Install and launch this Canon/Nikon/Sony/Panasonic/Pentax/Olympus/Fujifilm video Converter. Import footage to the converter. Step 2. Click format bar to choose the output format on the list. 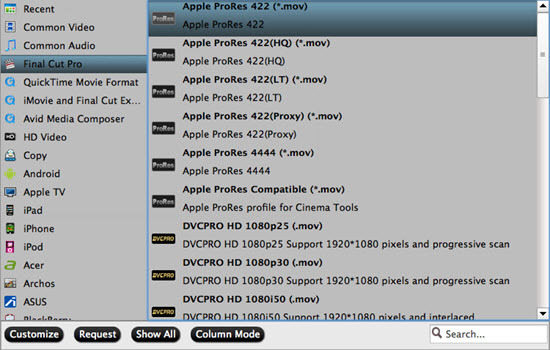 Click and choose ";Final Cut Pro" >"Apple ProRes Codec 422 (*.mov)". Adjust the resolution, bitrates as you want. For those advanced users, they may not be disappointed with this functional item. Step 4. Click 'Convert' button to start. With this Canon/Nikon/Sony/Panasonic/Pentax/Olympus/Fujifilm to Apple ProRes 422 converter, you can easily import camera video files to FCP X for editing, this software runs fast, so you can convert HD footages to FCP X in less time, video and audio synchronization are perfectly guaranteed. You can also find more tips and tricks in Pavtube Canon, MTS, or MXF column.